Threaded fasteners haven't changed drastically since they were invented ages ago. But now, General Motors has put RFID tags in the bolts used on engine assembly lines, turning simple hardware into tracking devices that make sure everything gets assembled properly. That bolt's got a (2kb) brain! Inside the head of GM's "data bolt" is an RFID memory tag and a coiled antenna. 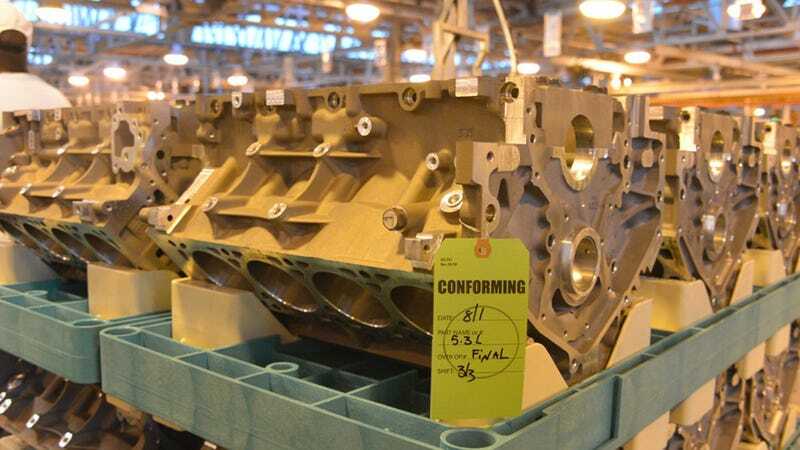 The brainy bolts are installed on each engine block and cylinder head at the beginning of the machining process. Scanners check the bolts during nearly 50 separate machining processes, ensuring that previous steps were completed successfully and marking the current step as completed. If an RFID scanner detects a part that was improperly machined, it's kicked off the assembly line for inspection.